Wayne Demydowich doesn't remember his "introduction" to Chuck Miedtke or the first responders who saved him. Miedtke noticed Demydowich in his car, stopped in the middle of the road, in traffic. Something was clearly wrong. Miedtke knocked on the car's window. No response. Since the doors were locked, he called 911. Emergency responders quickly arrived on the scene, took a window out, and got Demydowich out of the vehicle. It was then that they realized he was "experiencing sudden cardiac arrest," Fox9 News reported last week. Demydowich had stopped breathing and had no pulse, and "his heart was quivering like a bag of worms," according to reporter Jeff Baillon. During sudden cardiac arrest, "The heart is in a state of mechanical and electrical chaos," Mayo's Roger White, M.D., told the reporter. Across the country, 9 out of 10 people who experience sudden cardiac arrest outside of a hospital don't survive. Thankfully for Demydowich, his cardiac arrest happened in a community (Rochester) where nearly 6 in 10 do survive -- the highest survival rate in the nation. First responders eventually were able to shock Demydowich's heart back into a normal rhythm and get him breathing again. But he "still wasn't out of the woods," Dr. White tells Fox9. "After pulses come back, the brain continues to be at high risk of continuing injury." So Demydowich was brought to Saint Marys Hospital and put in a "medically induced coma" and his "body temperature was lowered to about 91 degrees." Those measures minimized the damage. However, he has no memory of the day his heart went into cardiac arrest. 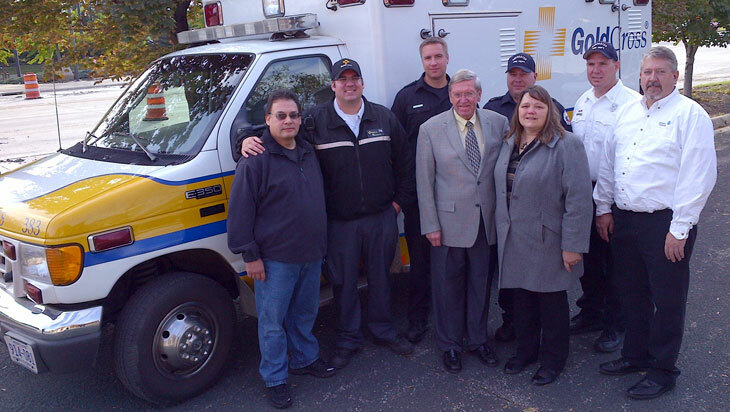 So, after he recovered, he was reintroduced to those who helped to save him during a recent reunion in Rochester, where he and his wife, Peggy, met Miedtke, the first responders, and Dr. White. Miedtke told him he looked a lot better than the last time he saw him. "Yeah, I'm sure," Demydowich said, chuckling. Amidst the handshakes, hugs and tears, Dr. White noted, "This is a highlight moment, believe me. These are the moments I cherish." For his part, Demydowich is thankful for the quick action of his Good Samaritan and the first responders. He's also back on the road, sticking to the distance running that helped him lose more than 100 pounds. Just five months after his running career was nearly cut short, he ran a half-marathon. As Baillon aptly states, "Although he's had faster races in the past, none have been sweeter than the half-marathon he finished after his health crisis." Watch the Fox9 report below and then share your comments.